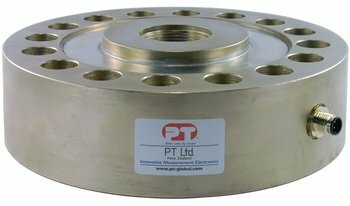 The LPCH is a universal load cell ideal for both tension and compression weighing. High accuracy paired with high overload capacity makes it a popular choice for materials testing, overhead and low profile weighing. Constructed of alloy steel and sealed to IP67, it also has recessed holes for flush mounting. The LPCH is fitted with an industry standard M12 sensor connector sealed to IP67 and is supplied with a straight mating connector. The connector simplifies installation and maintenance. Cable type and length to suit the requirements of the installation can be selected from our various cable packs. Six wire cables should be installed by connecting the Sense+ with the Excitation+ to terminal 1 and the Sense- with the Excitation- to terminal 2 inside the connector.